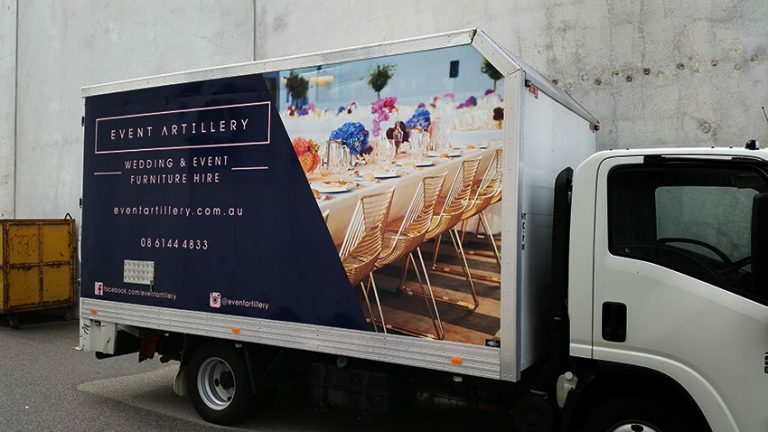 Truck wraps by Perth Graphics Centre would have to be the most effective form of advertising your business can invest in. It lasts for years, catches attention and looks fantastic. Take this truck for example. It was looking quite tired but now has a new lease on life. Using a combination of high performance Supreme Wrap film by Avery (click here for more info) and digital print, we have transformed an old truck body into one that it now a movable billboard. Fleet wraps are also a specialty, as we can can guarantee consistent colour and excellent longevity for your entire fleet. 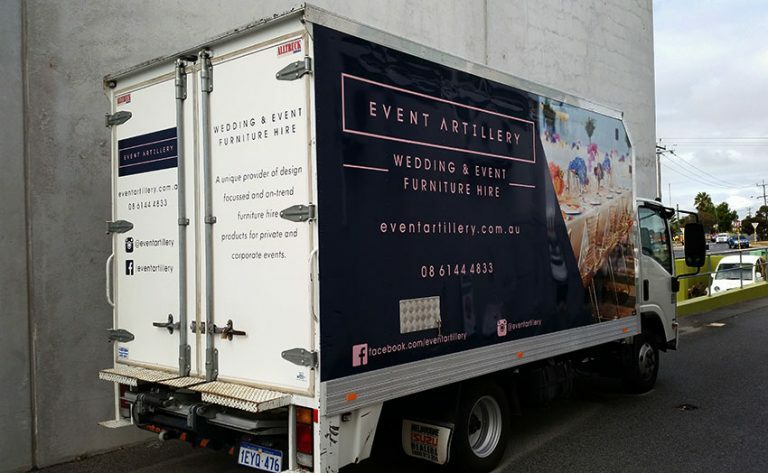 Whether it’s one truck or 50 trucks, wraps by Perth Graphics Centre will make sure your business gets seen. Hi ,I need a quote for a wrap .2 sides 6mx2m fast food trailer. Hi I would like to quotation for putting sticker on my 6×4truck.